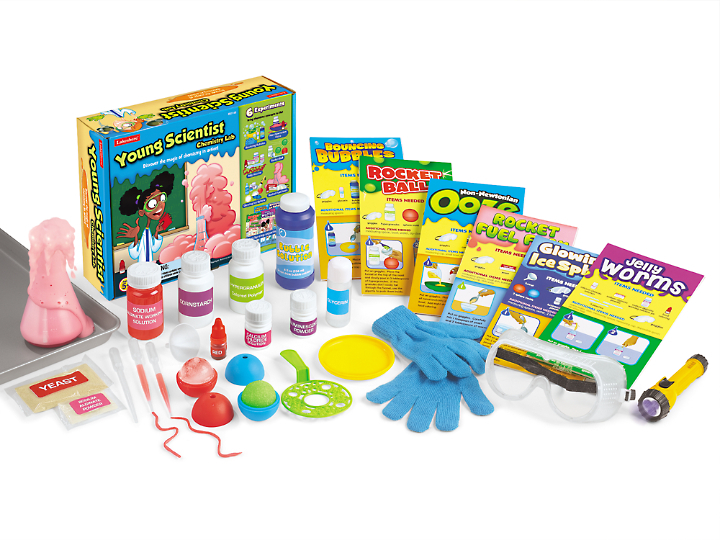 * I received toys to review for this post from Lakeshore Learning, all opinions expressed are my own. 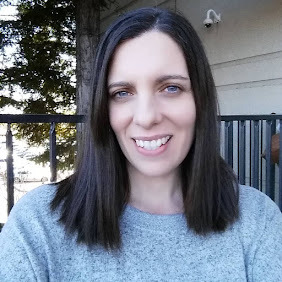 As a homeschooling mom I am constantly looking for new ideas for teaching my son. 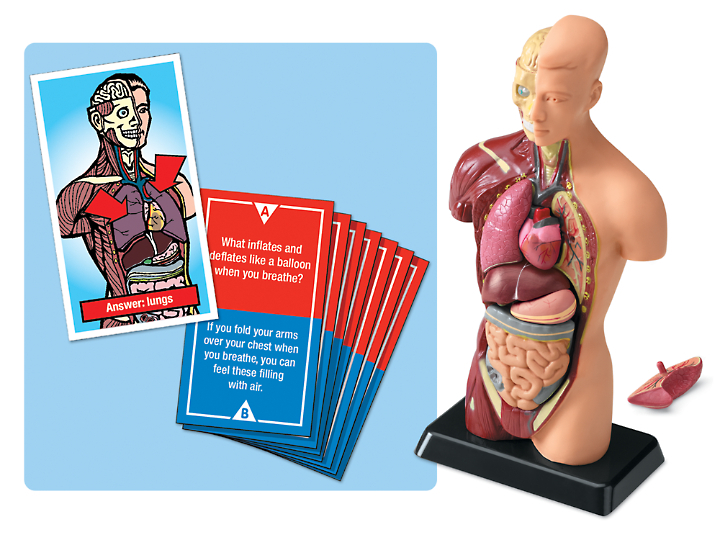 Lakeshore Learning has a fabulous Free Resource area on their website for lesson plans, craft ideas, printables, word searches and a create your own section with flash cards, award maker and more. 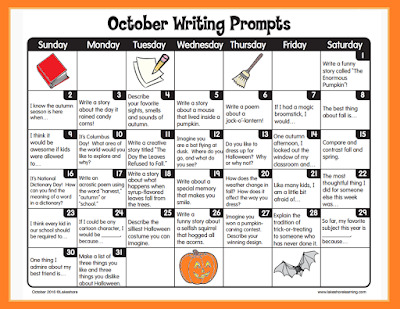 I found so many ideas and printables that we will be using for school. 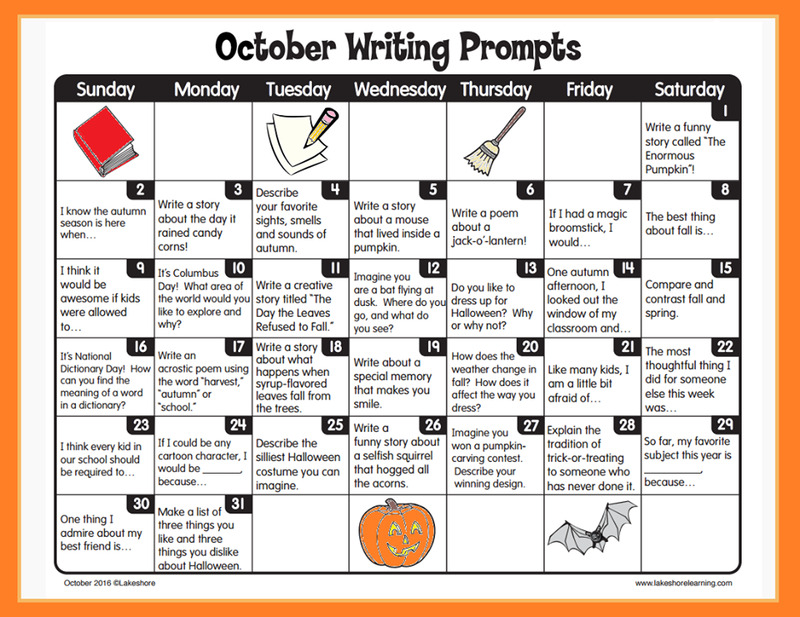 Check out this fun and festive Lakeshore Learning free October writing prompts to help kids celebrate autumn while sharpening their writing skills http://bit.ly/OctoberWritingPrompts I know I will be using these for my son's daily journal writing this month. I am a big believer in learning should be fun and interactive. I keep that in mind when selecting toys for my son. Shopping at Lakeshore Learning my needs are met for fun and educational. 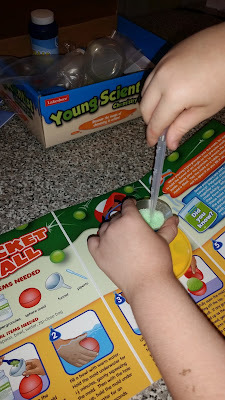 My son loves it when I will do STEM style learning with him. The science of things fascinates him. With that in mind I selected 3 toys that would encourage his love for science. My son loved this kit! 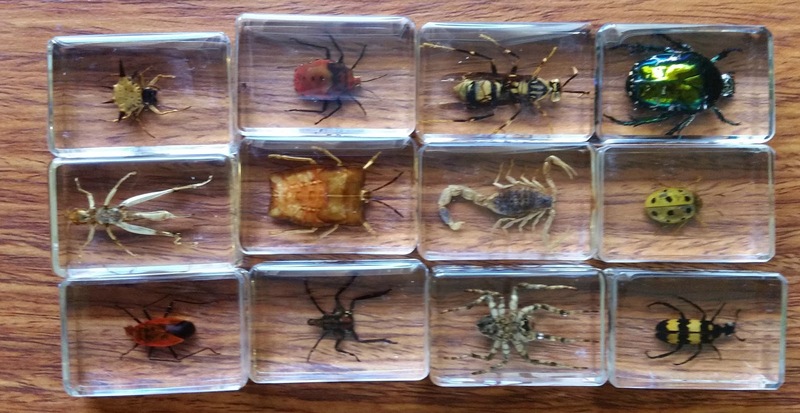 He wanted to do every experiment in one day. He loved following the directions and measuring out the parts needed. 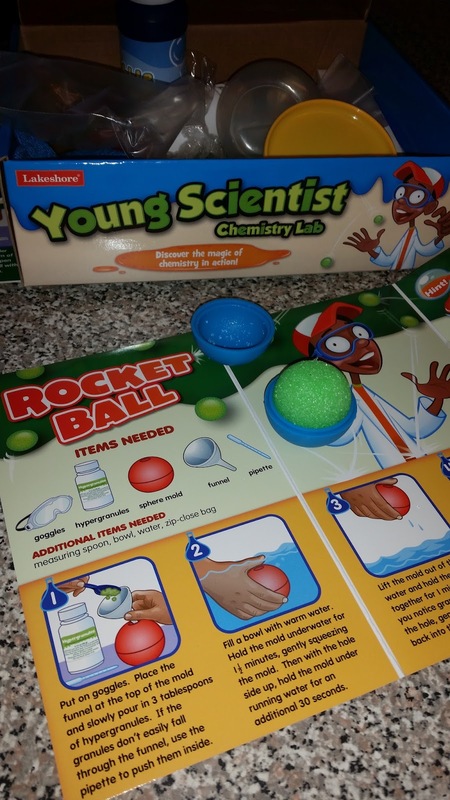 His favorite one was the Rocket Ball experiment and I loved the Glowing Ice Spheres. It was so enjoyable to spend time with my son doing a hands on learning toy that we could make into a memory together. We learned and bonded. This toy has been absolutely great! 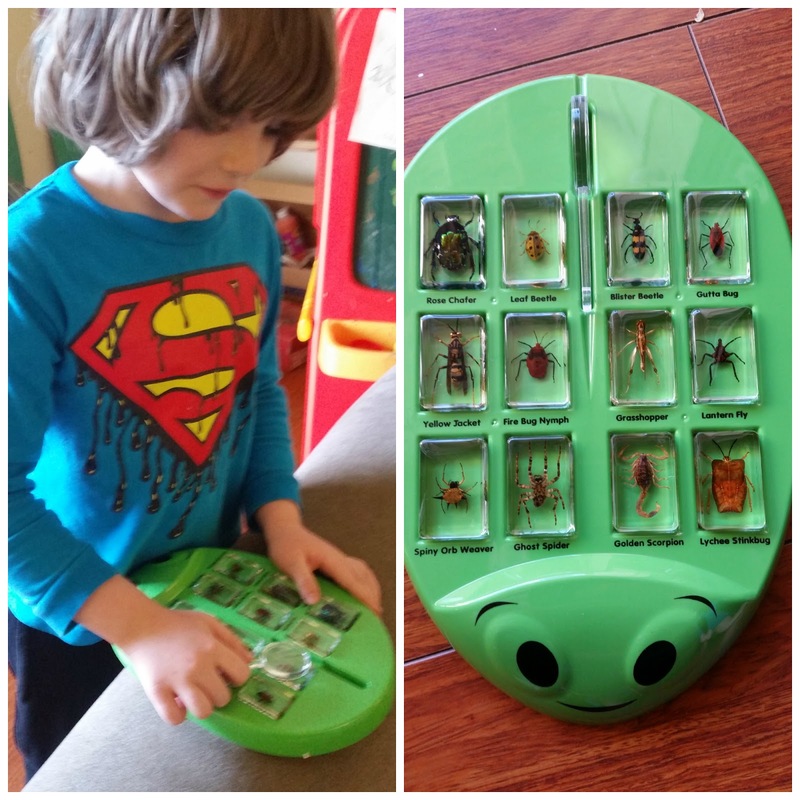 My son has loved using a magnifying glass to inspect each bug. This has led to conversations about more bugs, googling facts about the bugs and trips to the park to see what other sorts of bugs we could find. I had so much fun learning with him! As soon as this toy arrived my son declared it must be a 2nd grade toy since it looks a little too scary for him. I laughed a bit to myself but respected his wishes for the toy to be hid in the closet until he is older request. I did check it out for myself, when he was asleep of course and it looks like it will be a very cool and valuable learning resource for when he is ready for it. You can shop online for Lakeshore Learning and also in store. We have one here in Roseville that you can shop in store off Douglas Blvd. 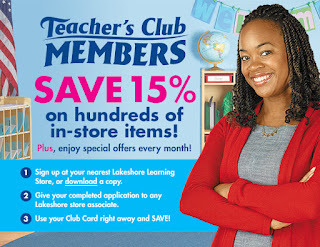 Plus of you are a teacher you can sign up for their Teacher's Club and get 15% off. I will need to find out of they offer discounts to Home Schooling families. 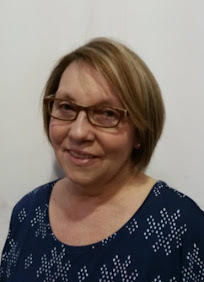 Lakeshore Learning shares ideas for learning and more of their products on social media. Facebook, Twitter, Pinterest and Instagram. 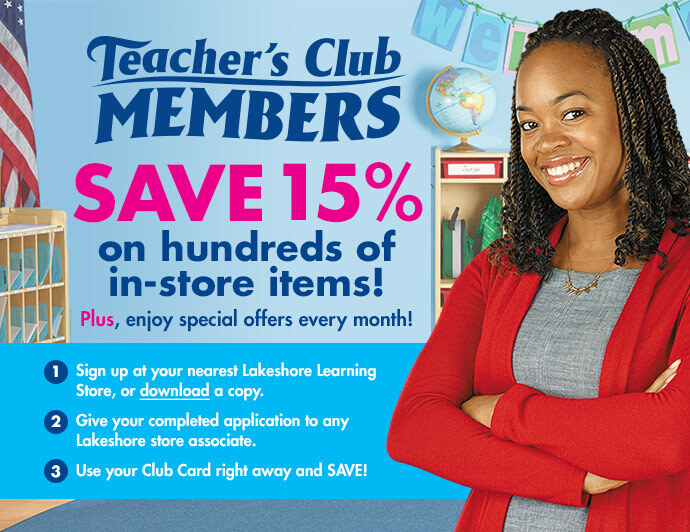 Have you shopped online or in store with Lakeshore Learning? Do you have any must check out items that you recommend?